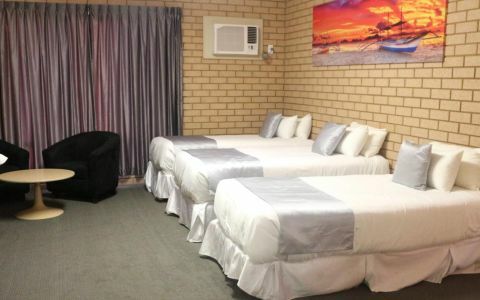 The BIG4 Plantation Caravan Park is set among plantations with easy access at the North West Coastal Highway/Geraldton Junction. We have six ensuite Cabins, a Camp Kitchen, full laundry, swimming pool, adventure playground and Net4 Internet Hotspot to add to our list of features. The park is well maintained shaded and grassed with sealed roads. We have sausage sizzles during the busy time, its a great opportunity to meet fellow travellers and share a story. Book exchange available in reception. 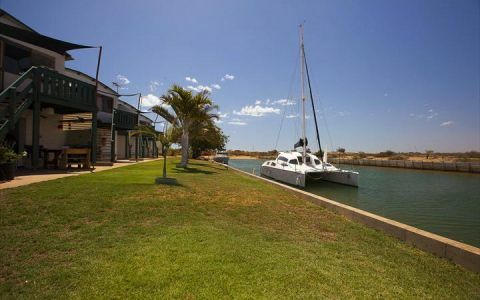 For the fine food lovers among us, Carnarvon offers many attractions from beach or Jetty fishing to horticultural and seafood industries. The town also offers a museum, coastal drives and there's so much more. Our famous markets run May-October every year. The Management and Staff look forward to sharing time with you. Double bed. Air conditioning. Wireless internet. Tea/ coffee facilities. Soap and towls provided. TV, microwave. Fully self contained. New air conditioners. fully contained, linen provided. TV and wireless internet. Towels and soaps provided as well as Tea/coffee facilities. Children 2 and under stay free of charge. Grassed Shady Sites, Clean Ablution Blocks, Camp Kitchen and Dump Point. Cancellations are not permitted on this special rate. 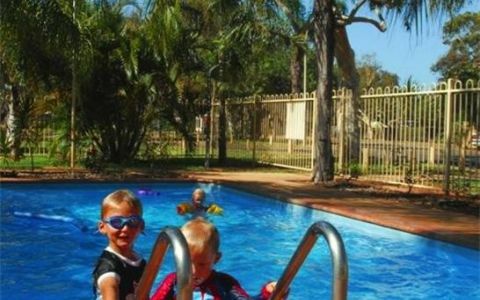 Plantations Caravan Park is situated 589 Robinson Street right on the bank of the Gascoyne river.